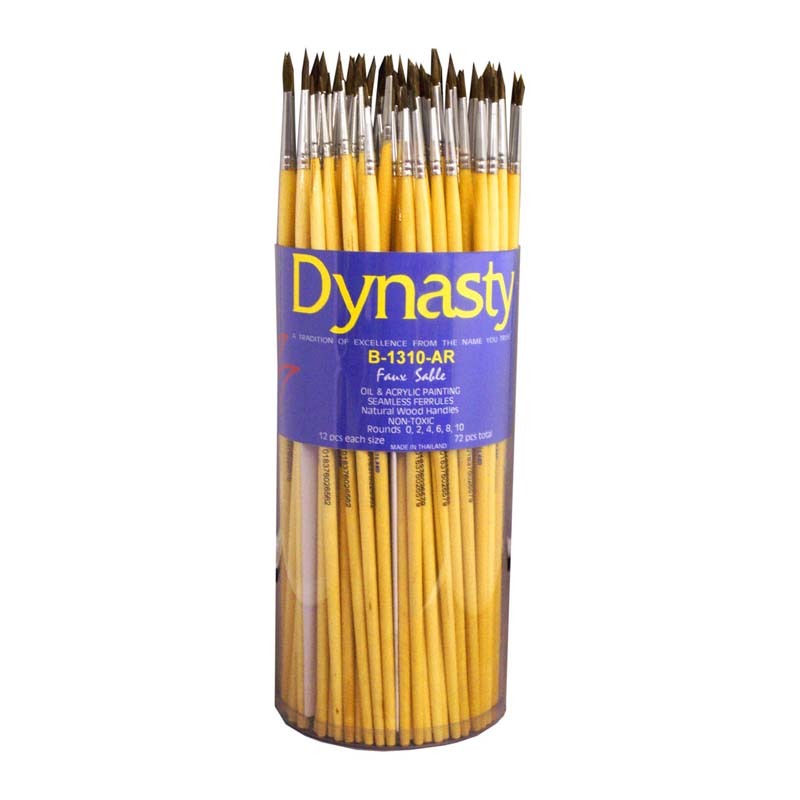 Long white birch handle camel hair easel brushes are perfect for watercolor and other fluid mediums. 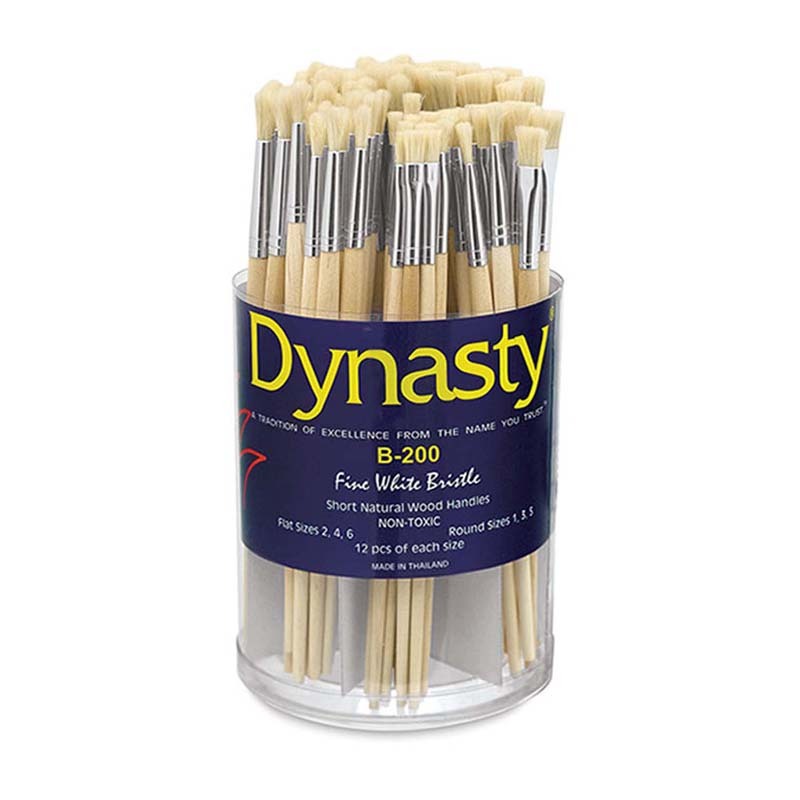 This brush has tremendous absorbency and a large reservoir creating a seamless brush stroke. Each set includes 72 pieces, 12 each of round 1, 2, 3, 4, 5, and 6. 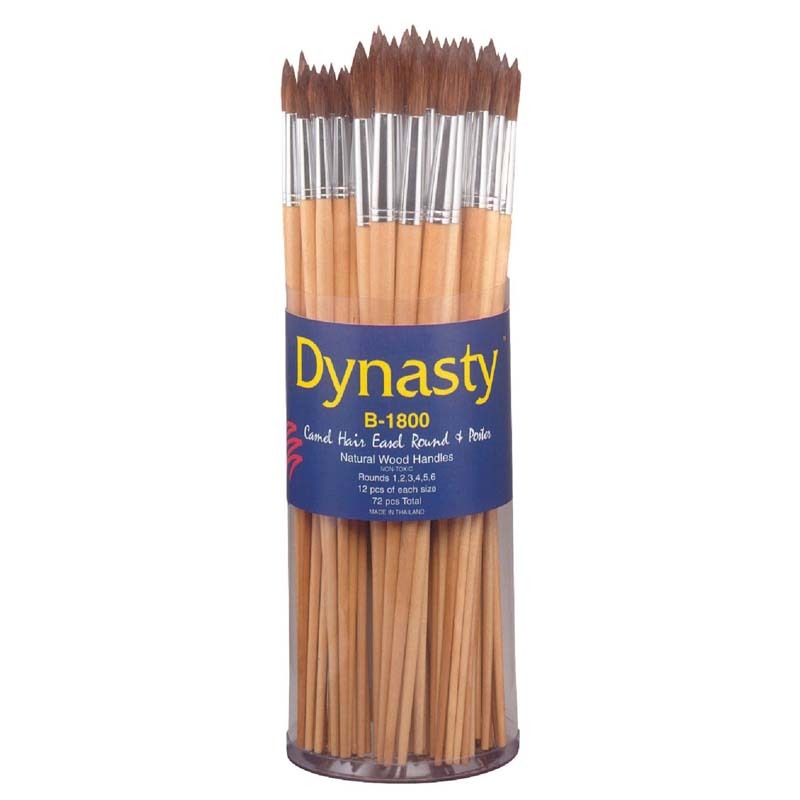 The B1800 Camel Hair Brushes Round72 Pc can be found in our Paint Brushes product category within the Arts & Crafts.